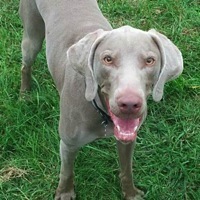 - Washington Weimaraner Rescue - ADOPTIONS - Rescue Me! HOMELESS FOR 8 YEARS, LIVING IN A KENNEL! Misty does not deserve to live her golden years and/or die in a cage!